Product prices and availability are accurate as of 2019-04-25 12:18:38 EDT and are subject to change. Any price and availability information displayed on http://www.amazon.com/ at the time of purchase will apply to the purchase of this product. This distinctive doormat from Entryways’ Sweet Home Collection bears an original design created by an artist. 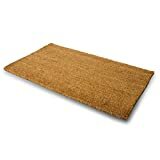 This mat is crafted of all-natural coir with non-slip backing to meet the industry’s highest standards. It combines an artist’s touch with affordability to provide functional artistry for the home. 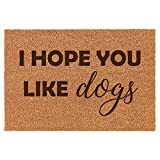 Accent your doorway with this colorful and affordable doormat. This mat is hand stenciled with permanent fade-resistant dyes. Crafted in India of all-natural coir with non-slip backing. Measures 17” X 28” x .5"
This distinctive doormat from Entryways’ Sweet Home Collection bears an original design created by an artist. This mat is crafted of all-natural coir with non-slip backing to meet the industry’s highest standards. It combines an artist’s touch with affordability to provide functional artistry for the home. 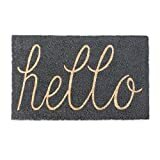 Accent your doorway with this colorful and affordable doormat This mat is hand stenciled with permanent fade-resistant dyes. 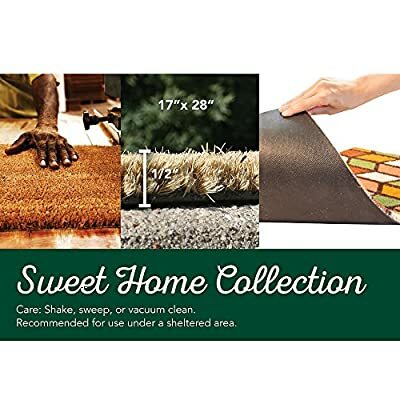 Crafted in India of all-natural coir with non-slip backing Measures 17” X 28” x .5" Care Instructions: Shake or sweet to clean. 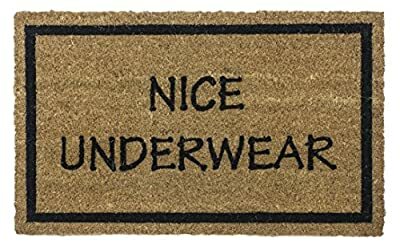 Best if used under a covered porch. 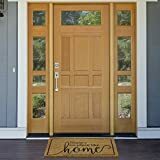 Achim Home Furnishings PCM1830DO6 Dorothy Printed Coir Door Mat, 18" x 30"